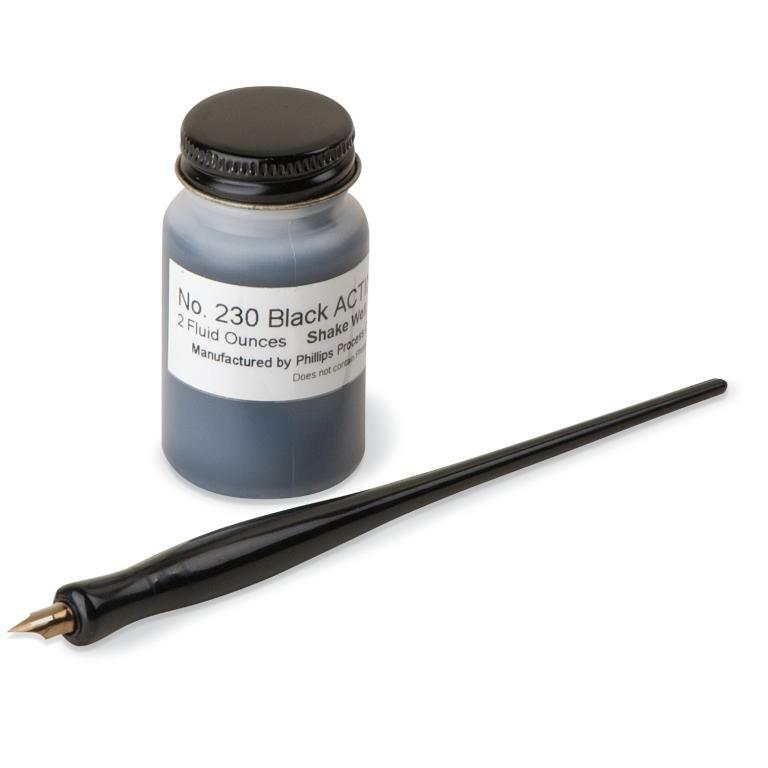 Archival black actinic ink for writing and stamping. Made of an inorganic pigment containing no carbon black or acid. It is chemically stable, will not decompose, will not fade or cause fading, and will not damage paper or photographic images. The ink is water resistant and permanent and will not react with paper or other materials. Writing for writing on archival prints and papers. Stamping For rubber stamping on archival materials.